Chico Seed Lending Library (CSLL) is a seed library located within the Chico Branch of the Butte County Public Library. We are open every day the Library is open! To help our community understand where seeds come from, how they are grown, who grows them, and why seed saving is more important than ever. To create a publicly accessible source of regionally-adapted seeds that is maintained by our community of novice and experienced farmers and gardeners. The Chico Seed Lending Library (CSLL) is a self-perpetuating collection of seeds donated and shared by members of the general public, with the purpose of educating users about seed saving and gardening, preserving genetic diversity in Butte County, developing locally-resilient plants, and strengthening the public library’s place at the center of our community. CSLL also receives generous donations from regional seed companies. CSLL is a partnership program with the Butte County Library, Earthshed Solutions, and GRUB Education Program. CSLL is hosted at the Chico branch of the Butte County Library and managed by volunteer seed librarians from Earthshed Solutions, and the GRUB Education Program and library staff. CSLL is fiscally sponsored by Earthshed Solutions, a 501(c)(3) nonprofit, all donations made to CSLL are tax deductible to the extent of the law. Seeds are available free of charge to any Butte County Library card-holder -Butte County Library cards are available free to any California resident. This location is ideal: a well-visited trusted public space with regular hours and a mission to provide access to all kinds of information and learning for our county’s diverse residents. 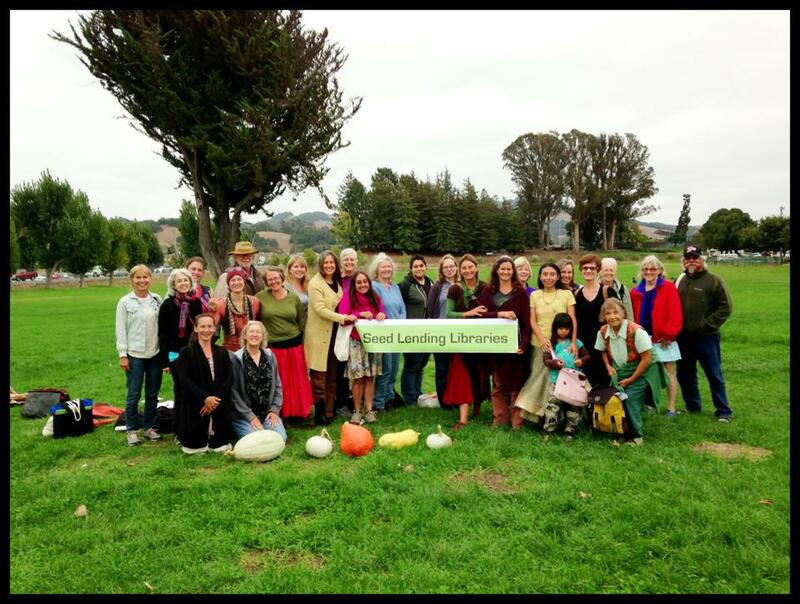 In addition to the seeds themselves, the CSLL program includes monthly ‘Lettuce Get Together’ events and access to excellent library materials.